DPF Removal on the Vauxhall Combo is not rocket science, it is a very easy system to be working with and we are now working with fleet companies and businesses who use these vehicles on the road every day. We are helping people across the country to save on expensive fuel costs, gain better performance and save on expensive repair bills. To learn more about the DPF system and our DPF Removal Service, please check out our article on Diesel Particulate Filters Problems & Solutions. Are You Fed Up With Poor Fuel Economy? The Vauxhall Combo is a great van and very reliable but when you fit the Diesel Particulate Filter (DPF) to such a van, the fuel economy can be significantly reduced. The DPF requires very high temperatures to burn off any particulate soot matter which it traps within the elements of the filter. To achieve high temperatures, the vehicle will go into what is known as a “Regeneration” state whereby the vehicle will dump more fuel through and you expect to reach temperatures of at least 500-800 degrees Celsius. A regeneration can last anything between 10-30minutes and is repeated on average every 150-250 miles – so for some people up to twice a day! This isn’t the only problem with having a DPF installed on such a small engine. The DPF is quite large and sits in the centre box of the exhaust system. The temperature further down the exhaust isn’t as hot as it would be right up next to the engine/turbo, in fact temperatures can drop at the centre box by up to 100 degrees Celsius. As the soot particles fill up in the filter the exhaust gas flow will be reduced to a point where the engine will have to work harder to push the gasses out. This will put obvious strain on the turbocharger, engine and other mechanical components. You will lose performance which sometimes goes un-noticed as it is not always an immediate occurrence. What Is The Best Solution, Can You Remove The DPF? Removing the DPF is the best solution, we can reprogram the ECU to delete the DPF file structures manually – this would mean a CUSTOM DPF Removal service and not an automated service whereby a mickey mouse guy would come out and upload a quick file to trick the ECU… automated files are very dangerous, especially if you’ve had a software update! Unless you have a Custom and Complete DPF Removal service, the most any automated file will do is turn the lights out and stop the error codes being stored – but the ECU will continue to believe a DPF is installed and it will continue to regenerate every 150-250 miles. This can lead to injector failure amongst other faults, if you have a search around, you will find forums where people have had such bad experiences and in some extreme cases complete engine failures. So What Will Sinspeed Do For Me – Custom DPF Removal? Yes, we will download the current data stored on your vehicles ECU and manually scan through the 1000’s of strings of programming, making a note of all the DPF file structures and interlinked strings. We will then go ahead and delete all DPF file structures within the ECU file and modify any interlinked data strings to ensure that all other systems and sensors will operate and perform optimally without errors once the DPF has been removed. – Don’t forget sensors such as the Lambda sensor, Temperature Sensor, Air Mass Sensor and so on are all interlinked with the Exhaust Gas Pressure Sensor and the DPF system.. once the DPF is removed, these sensors have to be calibrated to work optimally without a DPF else you will not get the maximum benefits and it could cause problems in the future. Will My Vauxhall Combo Still Pass Its Annual MOT? Removing the DPF will not cause you to fail an MOT, we can guarantee this because we carry out a FREE smoke-correction service within our Custom DPF removal package. It will not bring up any error messages and the car will not go into LIMP mode. Also, you will never experience any Regeneration messages where the ECU normally attempts to clean the DPF – this is because the DPF is no longer existing. A new DPF (Diesel Particulate Filter) will range from £400.00 – £1000.00 (+Labour & VAT). We can remove the entire DPF for a fraction of this cost and you’ll never have to worry about it ever again. Tags : Fault Code P1901 DPF Problems On Vauxhall Combo, Fault Code P1901 Particulate Filter Differential Pressure Signal not Plausible with Mass Air Flow C-030, Fault Code P1901 Particulate Filter Pressure Sensor High Differential Pressure B-056, Fault Code P1901 Particulate Filter Pressure Sensor High Voltage C-030, Fault Code P1901 Particulate Filter Pressure Sensor Hose Line Malfunction C-030, Fault Code P1901 Particulate Filter Pressure Sensor Low Differential Pressure C-030, Fault Code P1901 Particulate Filter Pressure Sensor Low Voltage C-030, Fault Code P1901 Particulate Filter Pressure Sensor Range/Performance B-056, Fault Code: P1901 DPF Problems On Vauxhall Combo 1.3L CDTi - Our Permanent Solution!, How To Remove Vauxhall Combo DPF, Vauxhall Combo DPF Blocked, Vauxhall Combo DPF Problems - Our Solution!, Vauxhall Combo DPF Removal, Vauxhall Combo DPF Removal Service - Call Today 0871 2887 666, Vauxhall Combo DPF Removal Services Nationwide, Vauxhall Combo P1901 DPF Fault Code, Vauxhall Combo P1901 Exhaust Gas Pressure Sensor... - Our Solution. I’ve just sent over an email now for some further information regarding a DPF removal for your Vauxhall Corsa. We’ve sent you an email with full pricing and information for the DPF Delete services in Newport. We’ve sent you an email, if you could kindly respond to that with your postal code we can then quote accordingly for the DPF Removal. We’ve sent you an email with full pricing and information for the DPF Delete services we offer. We have sent you an email with full information and pricing for our DPF Removal services. 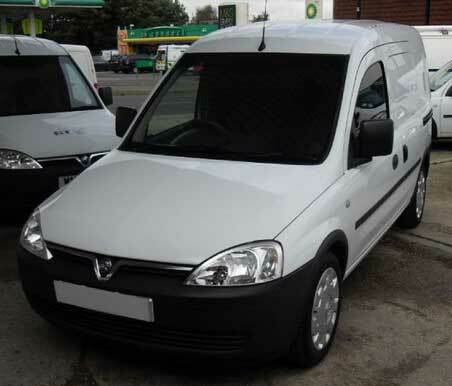 How much will it cost to remove the Dpf on a 2007 Vauxhall combo Van? 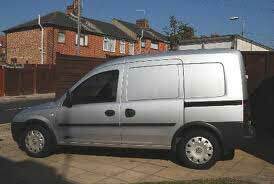 We have sent you an email with full information and pricing for a DPF Removal on your 2007 Vauxhall Combo van.